Motivational speakers play a huge role in our lives. I bet, there was a time when you felt so upset and depressed with no power to do anything. It is an awful feeling when your life has no bright colors… However, we always find energy inside to move forward, to be positive, and to live a colorful life. To say more, usually, we find this energy somewhere in the book, motivational video, or from motivational speakers. 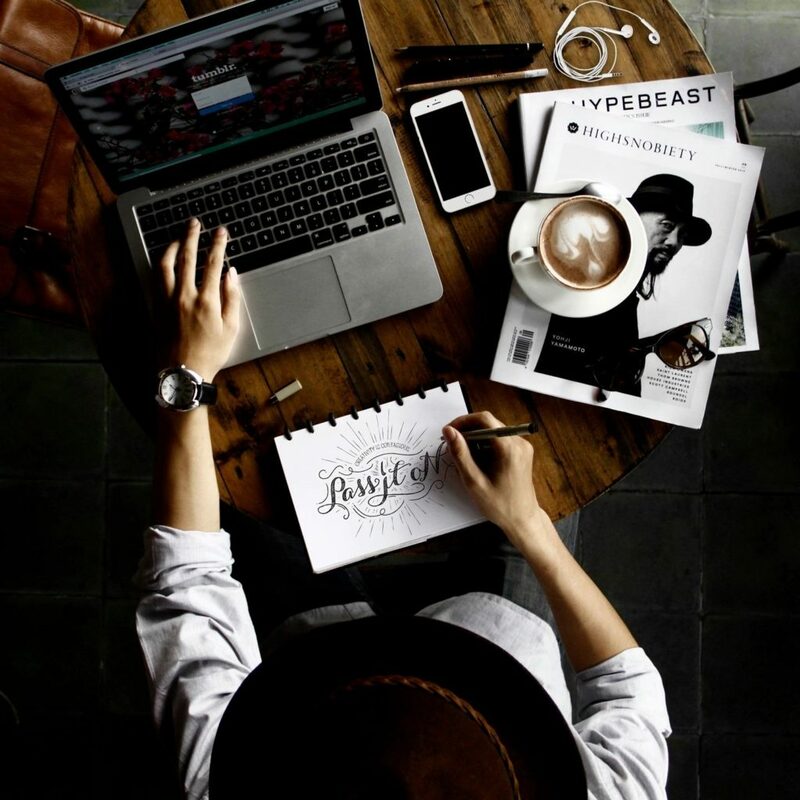 Therefore, if you help people to overcome life troubles, follow us to discover how you can stand out with your motivational business with no effort. There are a lot of possible ways to represent your biz. However, you need a professional presentation of your services and yourself in general. That should be a well-developed web page that allows visitors to make a target move right on the site. To be honest, it is really easy to make a website of your dreams alive these days. And there is no need to be a professional coder. 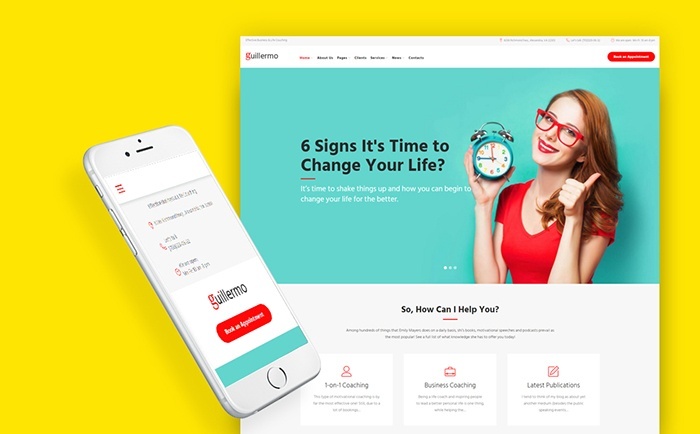 Modern market offers you a wide range of user-friendly ready-made website templates that will help you to create a high-quality website. 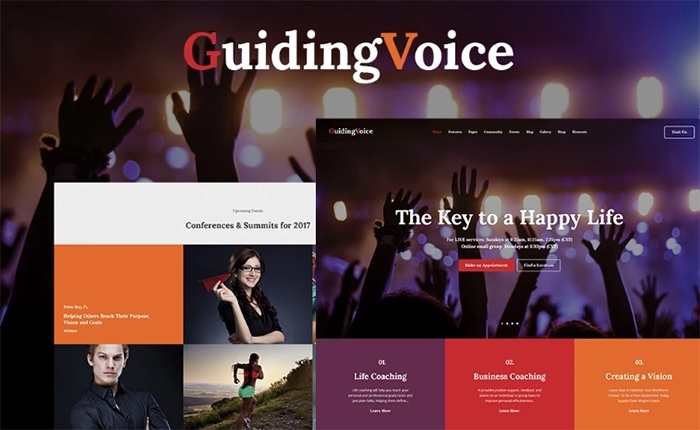 To say more, we have prepared a list of the best WordPress themes for motivational speakers for you. WordPress is really comfortable CMS to use. Therefore, it will take you no effort to launch your own website to represent your skills in a pro manner. 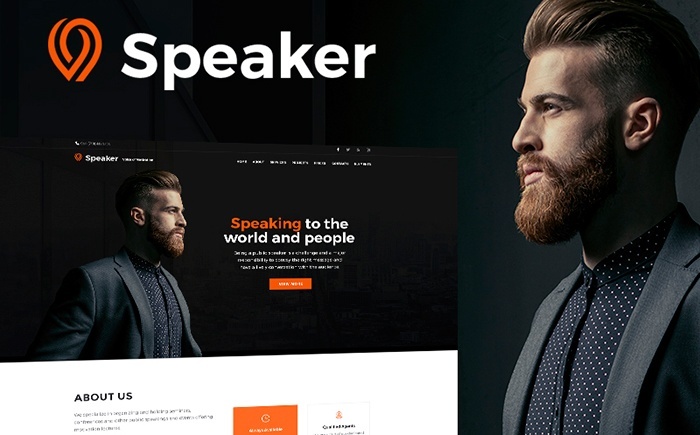 Let’s take a closer look at this eye-catchy showcase of 10 best Breathtaking WordPress themes for motivational speakers. Stylish design and social integration will help you to become number one motivational speaker in the web world. To say more, the design of this modern WordPress theme is fully responsive, thus, clients will enjoy your site even using their mobile phones. By the way, here you have a gallery where you can easily highlight the best events, projects, whatever, in a classy manner. 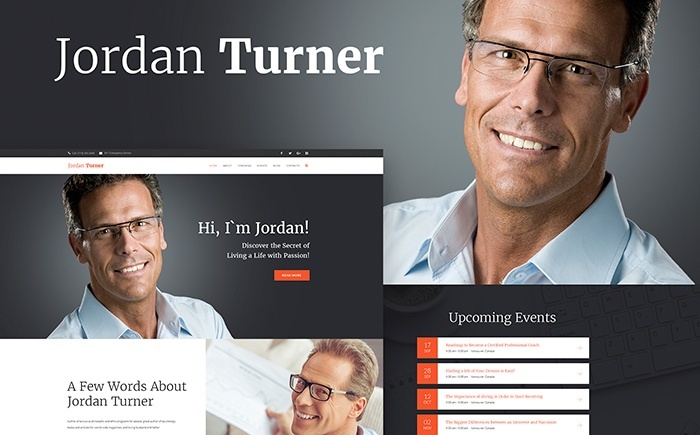 Jordan Turner is a well-developed WordPress theme for motivational speakers. It is pre-loaded with a wide range of modern features. Therefore, it will take you no effort to create a high-functional website that will convert. In addition, there are a lot of ready-made pages for all purposes. So, it will help you to save some time and money, of course. The theme has a special design that will emphasize your skills, services, etc. It was designed in a classy manner with a wide range of CTA buttons. 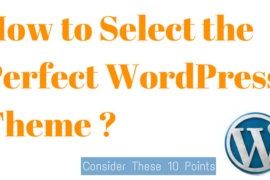 In addition, it will take you no effort to manage the theme thanks to an up-to-date Power Page builder. Everything is drag & drop, so, even newbie will handle it. Do you have something in mind to say to people who need some regulations in their nutrition? If so, check this eye-catchy and high-functional WordPress theme with a wide range of useful widgets. A great choice of modern tools and features allows you to launch a great site that will attract a lot of potential customers. Want to know more about this theme? Check its demo to fulfill all the features. There is nothing better than this WordPress theme to represent your services and knowledge in the best light. Every part of this theme is catchy, which allows you to improve the number of potential clients. Moreover, the theme is full of custom widgets that will help you to enrich the website’s functionality. The theme has a 24/7 lifetime support, so, you won’t be alone in case of any additional questions. In addition, it will be so easy to manage and edit this theme. 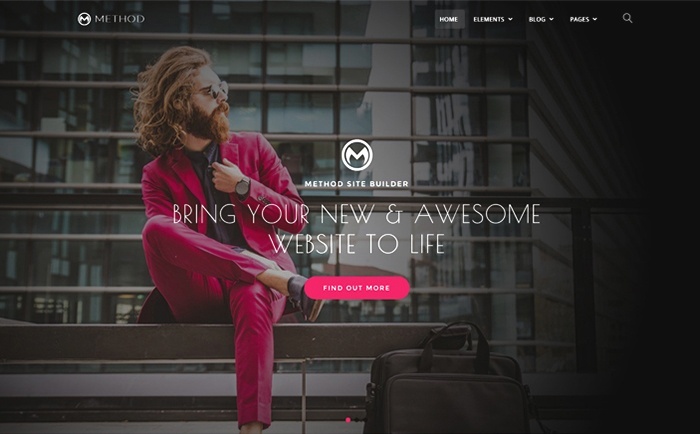 The thing is that the theme comes with a modern Page builder named Elementor. 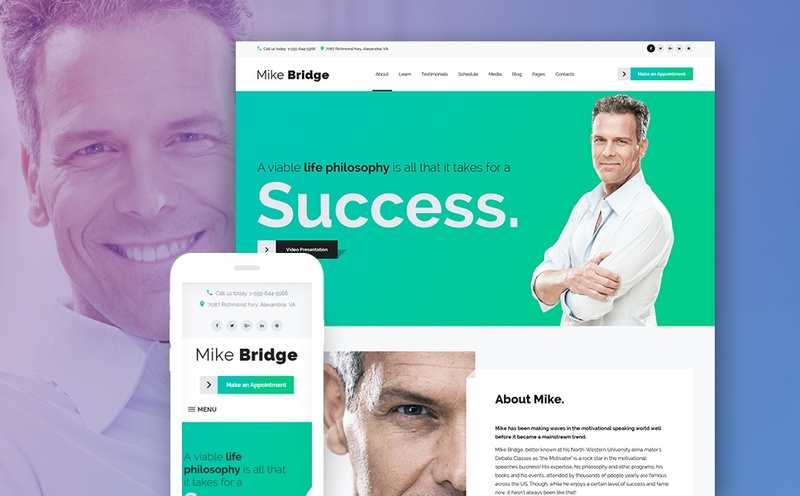 Thus, it will be a pure pleasure to work with this top-class WordPress theme for motivational speakers. 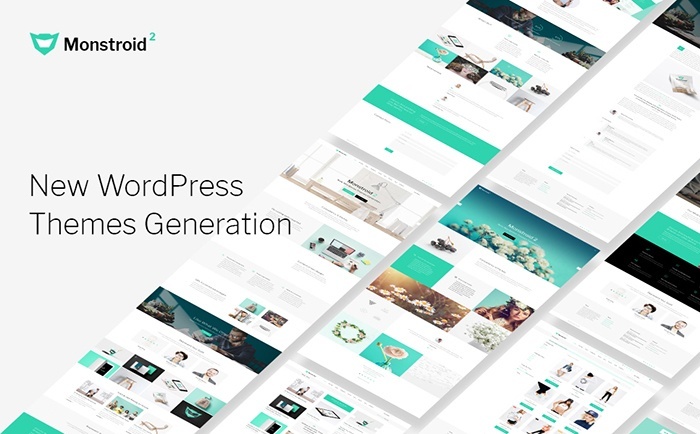 Looking for a flexible WordPress theme that will meet all your expectations? We would recommend you to check this stylish solution for all purposes. 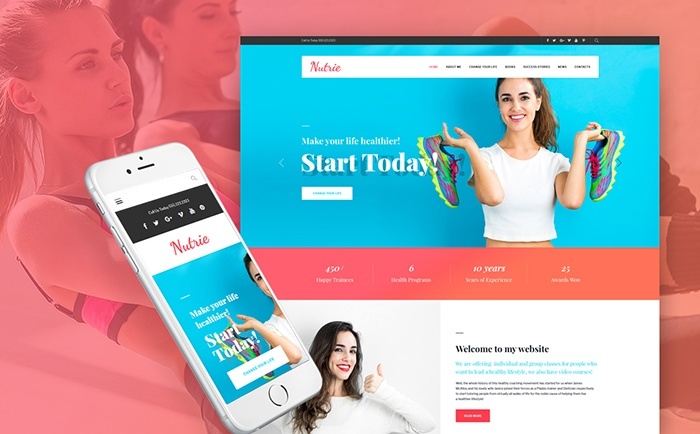 It has an easy installation process, a WooCommerce nature, user-friendly interface, and much more powerful tools to create a successful website. A drag & drop nature of this theme will help you to make any changes easy as never before. As for the functionality, there is an Appointment Manager that allows customers to book an appointment right from your website. Meanwhile, a Time Table plugin will showcase your schedule in online mode. 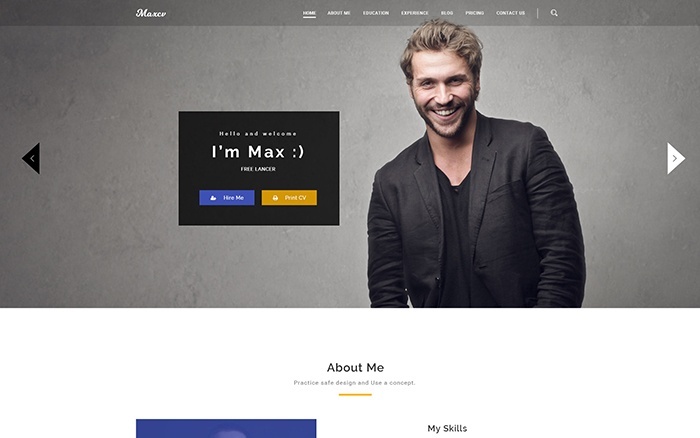 Max CV is a fully responsive WordPress theme that was crafted with care to help you to highlight your CV in the best possible light. This theme allows you to emphasize your skills, experience, etc. Moreover, the theme comes with a multilingual support, which allows you to expand the target audience. This theme was developed to be a perfect solution for any type of business. A wide range of pre-made skins, pages, and design options allows you to choose the case for your purposes. It has tons of useful plugins, widgets, and other features that will help you to create a unique website. Moreover, this marvelous theme has a GPL license. Therefore, you can easily use one single theme for various projects. And there is no need to pay extra! To sum up, we can see those modern solutions give us an opportunity to spice up our businesses. Believe it or not, but there is nothing better for your biz than a well-done website. 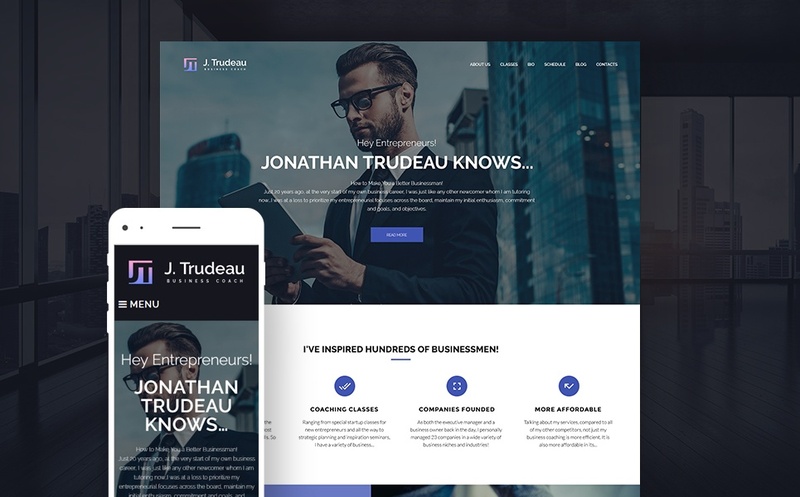 Therefore, we recommend you to get one of these ready-made website templates and you are ready to conquer this world. Good luck with your business!